Your most commonly asked exhibitor questions answered. Click on a subject below to view more details on that topic. Sunday, June 16, from 0800 hours to 1500 hours. Directed to assigned spaces, from the staging area, beginning at 1100 hours on Sunday, June 16. 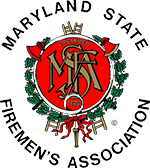 The MSFA Convention Committee will be hosting a Vendor Reception for all vendors on Monday evening from 1630 until 1900 hours as additional thanks for your participation in our annual Convention and Conference. This event will feature food, drink, conversation, and fellowship for all vendors with the Convention Committee and Officers of the Association. Parking at the convention center may be limited during period of peak attendance. Consider arriving early each day to ensure parking availability. Free bus passes for use on the commercial bus service will be available. All large trucks and trailers are to be stored off-site from the convention center once setup is complete in order to free up parking spaces for attendees. Please reference Truck, Trailer & Oversized Vehicle Parking Restrictions for further information from the Town of Ocean City. MSFA has complimentary parking permits for those exhibitors requiring one. For safety and security purposes, uniformed security officers will be on duty in the exhibits and display areas before and after closing hours. Exhibitors will be provided with Convention Entry and Security Identification Passes, which must be worn by all exhibitors, and will be enforced by the security personnel. The Compliance Division of the Office of the Comptroller of Maryland has warned MSFA that it expects full compliance from us and our Exhibitors with Sales Tax laws. The Maryland Sales and Use Tax Law states that any retail sale of tangible personal property is subject to 6% sales tax, unless exempt by statute. A vendor shall be licensed by the Comptroller before the vendor may engage in the business of an out-of-state vendor selling in the state or engaged in business of a retail vendor selling in the state. The Sales and Use Tax License authorizes the vendor to charge and collect tax on the sales made in Maryland. The Maryland law does not have an exemption for wholesales to sell in the State without having a license issued by the Comptroller of Maryland. Vendors are required to have either a permanent Maryland Sales Tax License or a Maryland 30-Day Temporary Sale Tax License to sell in the State. Tax must be collected from vendors, unless a signed statement indicating that the merchandise is purchased for resale to others. The resale certificate must include the vendor’s name, address, and Maryland sales and use tax registration number or the temporary permit number issued for the event. Maryland does not recognize other states’ registration numbers. Contact the undersigned for more information. Your cooperation is greatly appreciated. Convention regulations do not permit the selling of chances or solicitations for funds on the convention floor. Exhibitors may have private drawings at their booths for items of their choice, so long as applicable law permits (MSFA makes no representation as to legality of any particular scenario). Our Lease Agreement prohibits vendors from packing up and leaving early. We expect this to be strictly adhered to.